Here's one that slipped past when it was first released in 2008. 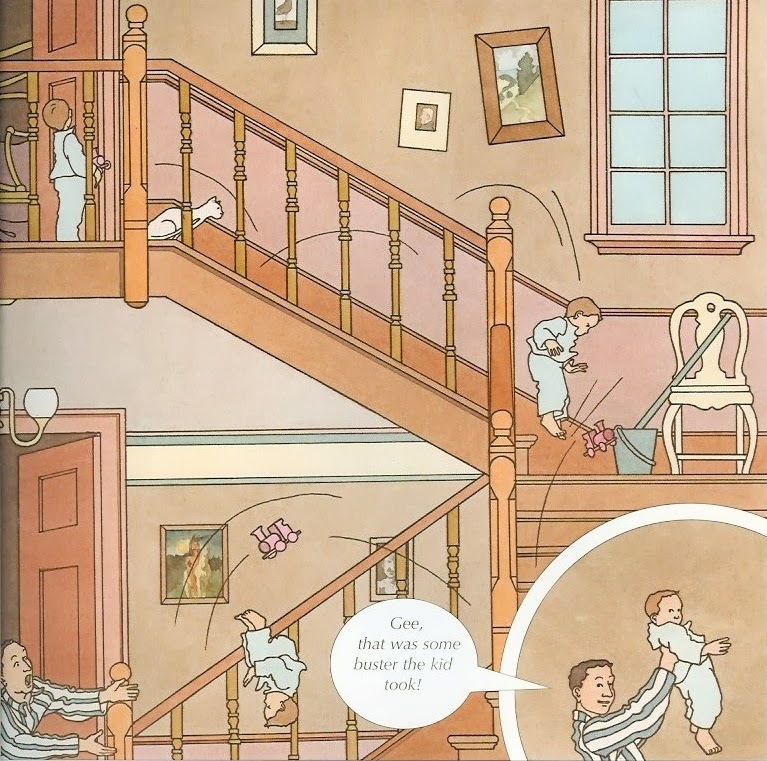 The children's biography Keep Your Eye On The Kid: The Early Years of Buster Keaton by Catherine Brighton immortalizes the moment when baby Buster falls down the stairs and Houdini gives him his famous nickname. Of course, Keaton historians dispute the veracity of this. Apparently Joe Keaton assigned the honor of his son's naming to various famous personalities in his lifetime. But Houdini is the one that history decided to keep. Of course! Keep Your Eye On The Kid: The Early Years of Buster Keaton is available on Amazon.com. I'd have to doublecheck the source, but I believe Buster himself credited Houdini with the nickname. Did he? Then that's good enough for me. I really like the style of this drawing, by the way. 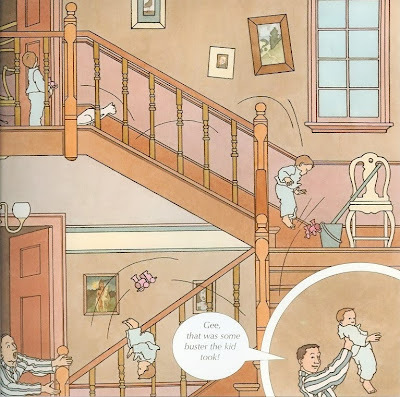 It reminds me of "Little Nemo", by Windsor McKay, which is appropriately of the era that Houdini and Keaton inhabited. Yeah, it's a nice little book. The author, Catherine Brighton, also did the illustrations. Wow! I never knew about this. Thanks JC. I think this one deserves its own post.